HONOLULU (Sept. 10, 2018) – Today, the Humane Society of the United States along with marine protection and native Hawaiian advocacy organizations commended eBay, Inc., the largest multinational e-commerce corporation in the US, for discontinuing the sale of Hawai‘i’s marine animals on its platform. eBay has long had a policy prohibiting the sale of pets or wildlife, yet individuals and retailers in the aquarium trade continued to post Hawai‘i’s marine animals for sale. Many postings included instructions on how to obtain a credit for animals who arrived dead, a known problem in the aquarium trade. Those shipments violated eBay’s existing policies requiring that any animals offered for sale must be handled and shipped humanely. “We thank eBay for prohibiting the sale of Hawai‘i’s rare and fragile wild reef animals. As a socially and environmentally responsible business, we would hate for eBay to unknowingly facilitate violations of the court order by allowing the advertising and sale of animals that were likely caught in contradiction of Hawai‘i’s high court ruling,” said Rene Umberger, executive director of Hawai‘i based For the Fishes. “The capture and sale of Hawai‘i’s wildlife, whether mano (sharks), honu (turtles), palaoa (cetaceans) or other marine animals is unacceptable– many of these animals are sacred aumakua, revered native Hawaiian guardians. 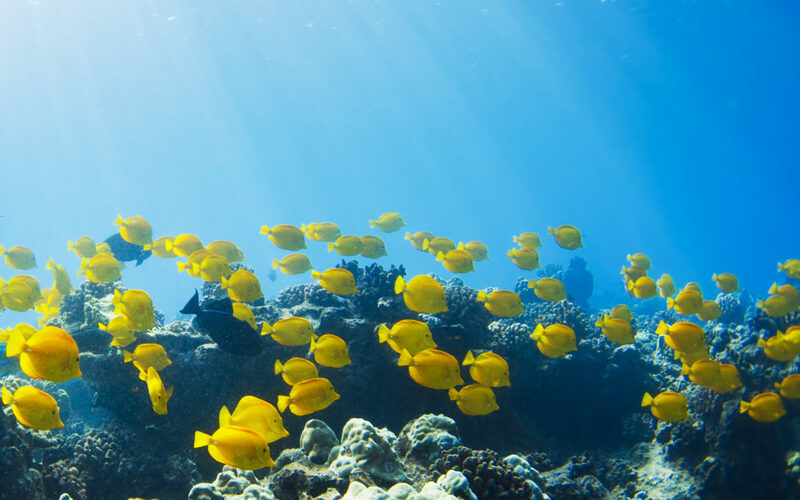 We urge other online retailers and corporations to follow eBay’s leadership in stopping the sale of all of Hawai‘i’s native marine animals,” said Bianca Isaki of KAHEA- the Hawai‘i Environmental Protection Alliance. “We commend eBay for this responsible decision to respect the lives of Hawai’i’s reef wildlife, inhumanely taken from its natural environment and transported long distances for aquarium fanciers – with a high mortality rate” said Keith Dane, Hawai’i policy adviser for the Humane Society of the United States. “We urge all corporations to cease their participation in the sale and transport of marine wildlife”. The new policy complements eBay’s recent prohibition on the advertising for sale of Hawaiian rock or sand, which was brought to the company’s attention last November, and is in violation of Hawai‘i state law. The Hawai‘i Supreme Court in September 2017 invalidated permits allowing the capture of Hawai‘i’s reef wildlife for aquariums purposes, pending environmental review. The state’s Department of Land and Natural Resources is not enforcing the ruling, so trafficking of Hawai‘i’s reef wildlife continues. Corporations such as eBay play a key role in protecting wildlife by enacting policies where local government is unable or unwilling to act, as seen with similar corporate policies against the sale or shipment of ivory, shark fins and other wild animals and their parts and products. eBay asks for the public’s help in reporting any listings of Hawai‘i marine animals or other prohibited pets or wildlife that some may attempt to post for sale on its website by contacting them at “’Report an item or listing” and/or “Report an issue with a seller” customer service pages. “By reporting prohibited and illegal wild animals or products from Hawai‘i or elsewhere, members of the public become part of the global solution to protecting wildlife,” said Mike Carson, senior manager of Global Policy and Regulatory Management at eBay.